Thank you for visiting our Ilikai page. 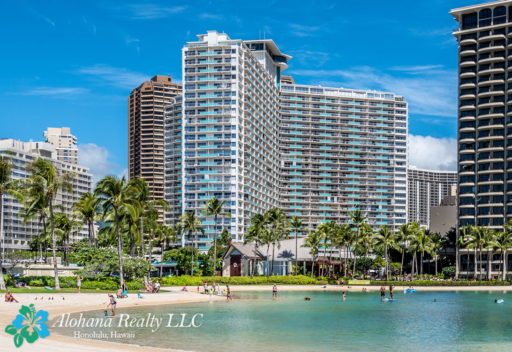 Alohana Realty LLC is a full service Real Estate company in Honolulu, Hawaii. 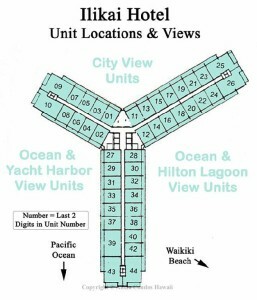 We currently manage more than a dozen units on all sides of the Ilikai — mountain, lagoon & marina. We want you to get the most from your rental unit. We average over 90% occupancy on all of the units we manage. We are on call 24/7 should any emergency arise. No additional fees. We charge only a percentage of the rents collected. We don’t nickel & dime unit owners. No laundry list of charges or penalties to guests. We are the type of company you want to rent from when you go on vacation. We don’t charge a fee on maintenance issues. That is included in our service. We actually pay the entire cleaning fee to the cleaners.You may be surprised how rare that is. Detailed monthly reports (currently in English or Japanese). No owner black out dates. Just tell us which dates you want to use your unit (Holidays, etc.) It is YOUR unit. You come first. We love vacation rentals, people who own vacation rentals, and people who stay in vacation rentals.